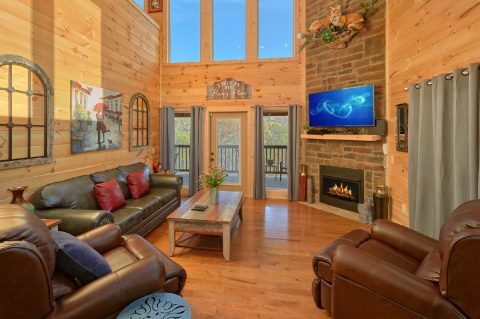 Experience the utmost in Smoky Mountain luxury when you stay at "Swimming Hole," a two-bedroom log cabin nestled in the mountains above Dollywood Theme Park! 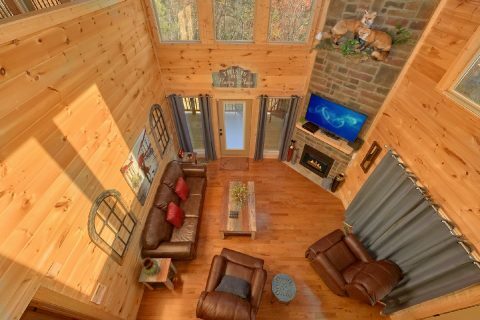 On top of offering a great location for your vacation, this premium cabin rental boasts incredible amenities like a heated indoor pool for guests to enjoy in private! 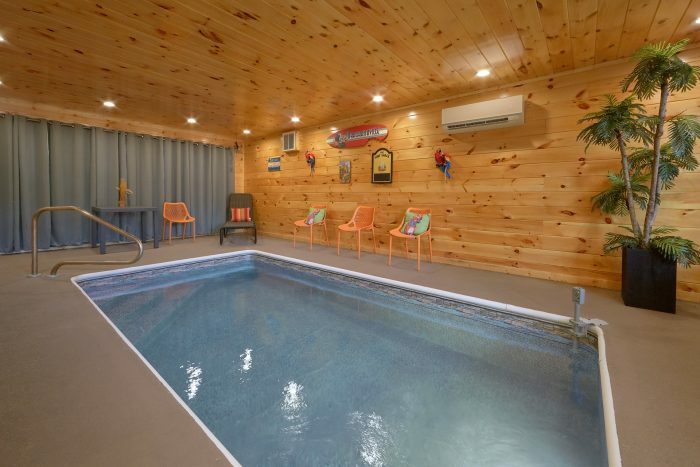 Your family or group can enjoy year-round swimming in the pool without having to leave the comfort of their log cabin in the mountains. 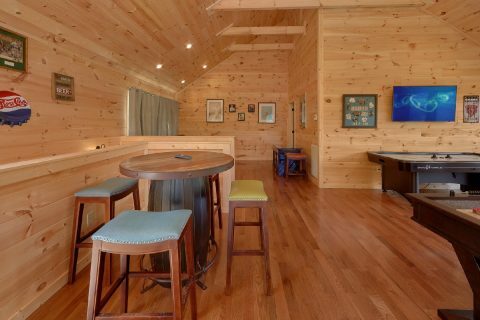 When you aren't enjoying a dip in your in-cabin pool, there are plenty of other great features to enjoy during your stay! 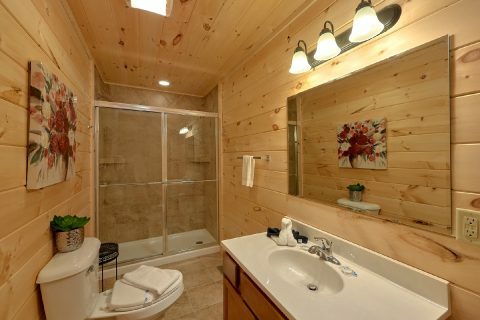 Sit back in the hot tub on your cabin's covered deck to fully experience your rental's mountain view. 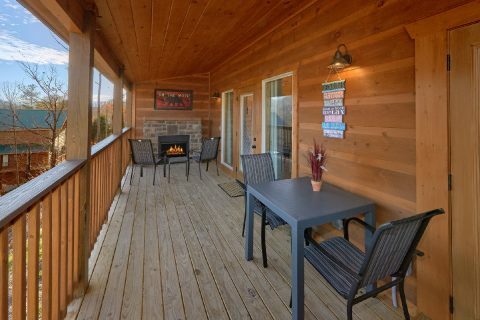 This deck also features an outdoor gas fireplace and chair lounges so you can enjoy a relaxing evening by the fireside underneath a starry Smoky Mountain night's sky. 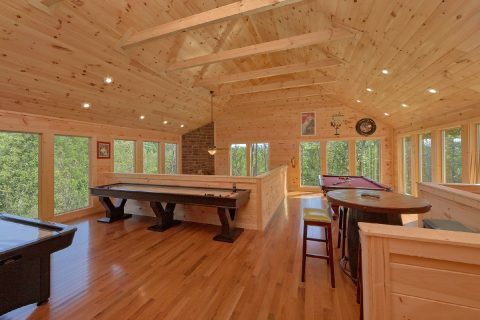 Enjoy a fun evening with great company as you gather around the gas fireplace in the living area. 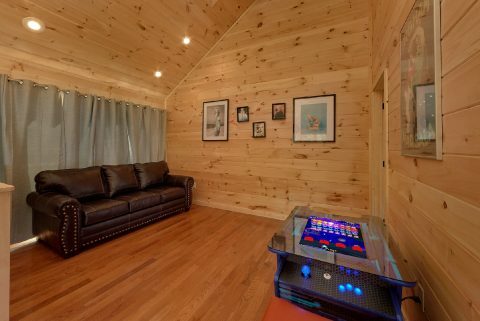 This room also features a 55", 4K 2160 p, HD Smart television with a DVD player for watching your favorite movies. 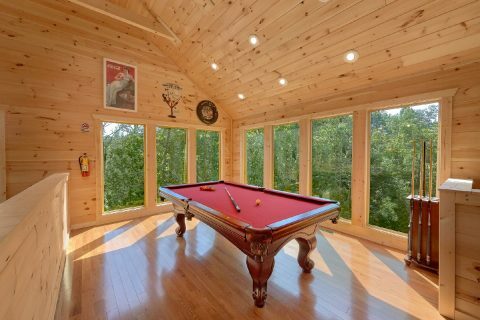 Have a great time playing with friends on the pool table in the game room. 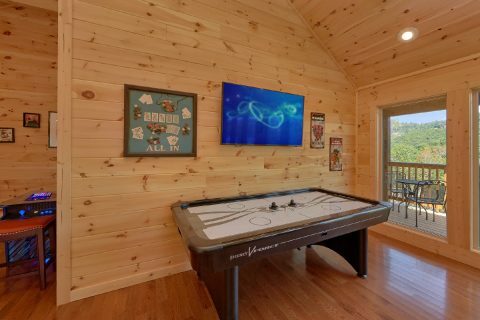 This fully-stocked game room also features an air hockey game, a 12-ft shuffleboard, a 64-game arcade game, and a 55" 4K 2160 p HD television. 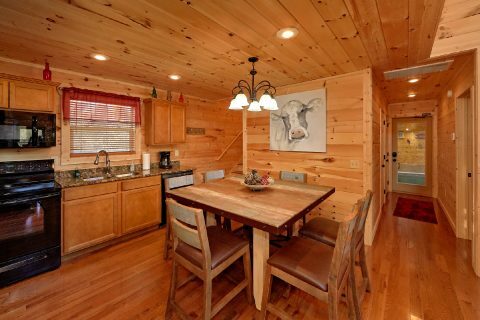 There are also plenty of practical features in this cabin to make your vacation a breeze. 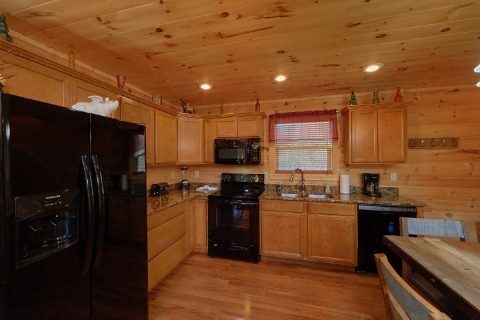 Your rental's fully equipped kitchen gives you the flexibility to make tasty meals at home whenever your schedule requires it. 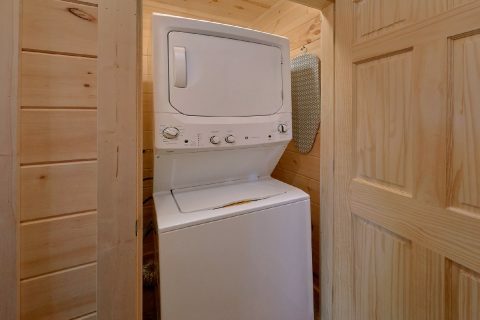 Your cabin also provides a washer & dryer to use during your stay. 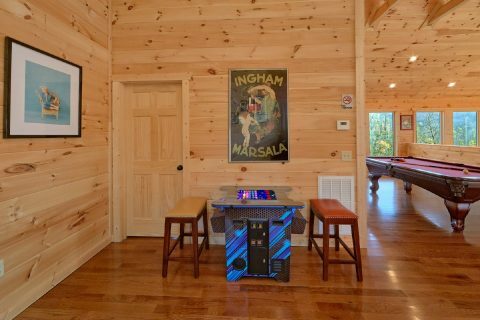 For getting a great night's rest, this premium rental boasts 2 king-size bedrooms and an additional game room sleeper sofa to comfortably accommodate 6 guests. 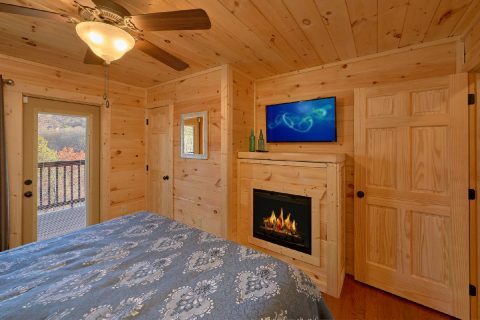 Both bedrooms come complete with private televisions and inviting electric fireplaces. 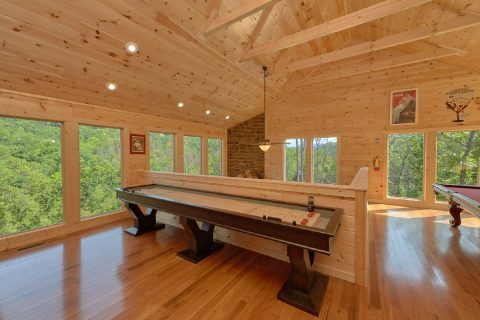 The upper-level bedroom even boasts a private balcony complete with a table and chairs. 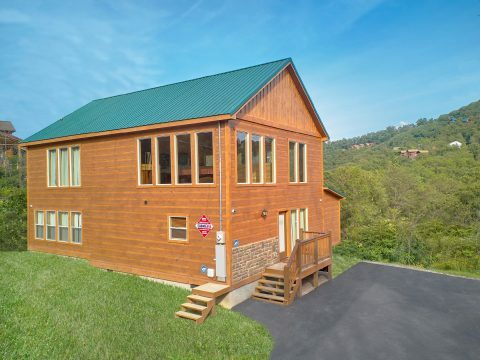 When you aren't unwinding at this comfortable two-bedroom rental in the mountains, your family or friends will love staying conveniently close to the area's top attractions! 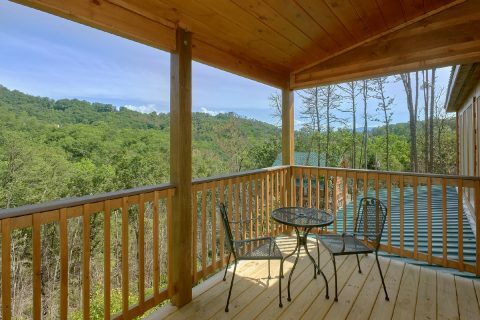 Whether you plan on riding roller coasters at Dollywood, hiking in the national park, or attending a Pigeon Forge car show, this rental is near all the action in the Smoky Mountains. 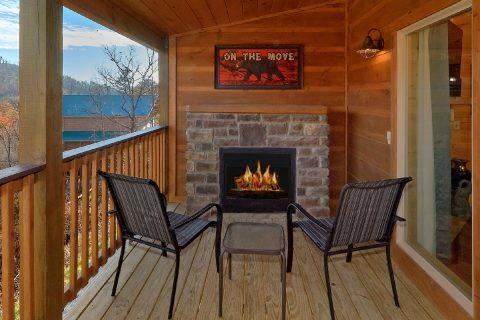 Other top destinations like Gatlinburg, TN are also a short drive away where guests will find even more Smoky Mountain entertainment! 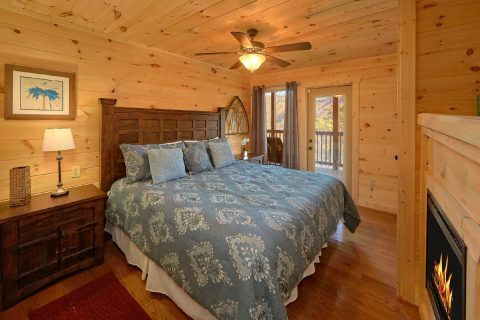 Planning a bigger getaway in the Smokies? 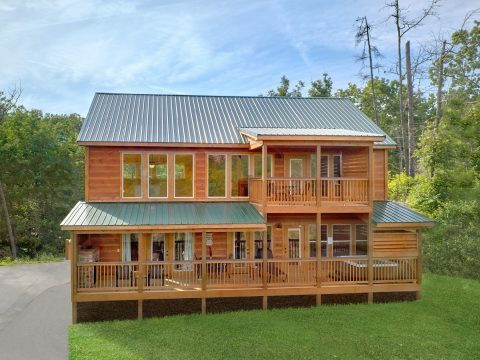 Cabins USA Gatlinburg offers several other rentals in this resort area that can be booked together for fit larger groups visiting the Smokies. Call our office and our reservations specialists will be glad to help you plan your stay! 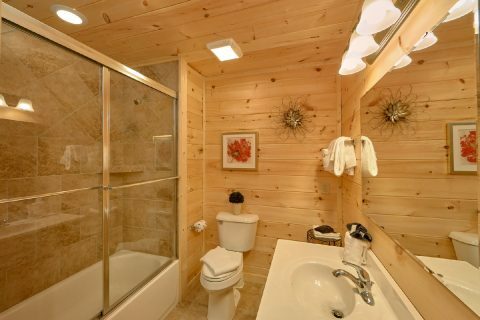 Don't forget to book this premium cabin with Cabins USA Gatlinburg to earn a special discount on your stay! 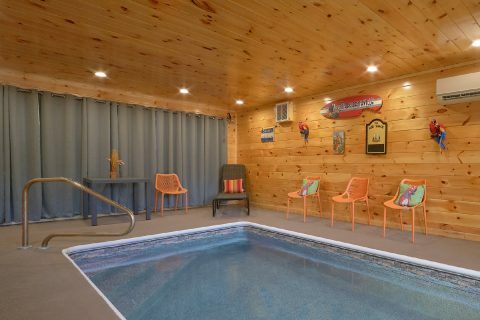 Enjoy the luxury of an in-cabin swimming pool for an incredible nightly rate in the beautiful Smoky Mountains of Tennessee!